The Wise Hippo programme is a series of 4 classes which will educate you in achieving calm, relaxed and in control birth. In 2010 Justyna traveled to India. She has completed there her first fundamental training and received title Yoga Siromani Teacher of Yoga in The International Sivananda Yoga Vedanta Centre. After that she has specialized herself in pregnancy and kids yoga. When she was expecting her first baby, she decided to learn not just about the physiology but also the psychology of birth. She decided to train in the hypnobirthing in the UK. Her desire to learn more about birth and breasfeeding has lead her to learn from the gurus in childbirth like Ina May Gaskin, Janet Balaskas and Gail Tully. Justyna is also specialized in breastfeeding support for new mums and she has received teaching directly from Dr Jack Newman and Nancy Mohrbacher IBCLC, FILCA. 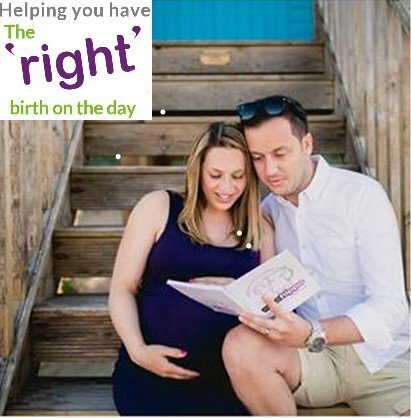 She has successfully helped to prepare for birth many mums and couples through teaching antenatal classes and yoga.